This beautiful package has 100 fern plants total and consists of 3-4 different types of ferns. We will select a variety that will make any part of the shaded garden look like straight out of a magazine entirely. 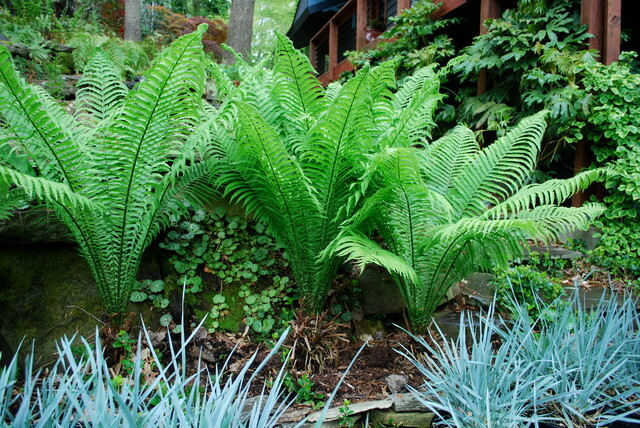 Ferns are a great selection as they are deficient maintenance and easy to grow. They like partially to fully shaded areas and will increase effortlessly year after year. Adding greenery and unique contrast to all your other beautiful garden flowers. We had a section of property that was in deep shade. The previous owners tried to grow grass which was a disaster. It was bare ground with lots of erosion. We planted this collection and after just two seasons the area is green and lush with the ferns and the erosion is in check. We are going to order more.